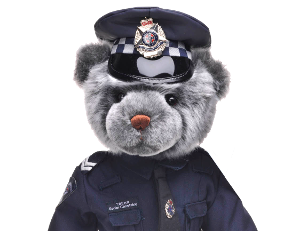 Through a donation of $250,000 the Geelong Branch of the Victoria Police Blue Ribbon Foundation assisted in the redevelopment of the Children’s Department at Barwon Health Geelong. They provided the necessary funding for the installation of a specialised Children’s treatment room. The Children’s Department and the treatment Room provides specialized care for children attending the emergency department at Geelong hospital. Surroundings and décor are especially designed to project a relaxing and familiar environment and equipment in the Children’s Emergency Room is tailored to care for smaller people. This unit was dedicated as a Police Memorial to honour Senior Constable Fiona Robinson (30507) who died in the line of duty from injuries received in a motor vehicle accident in May 2000.